Proper aeration at the beginning of fermentation is important in producing good beer. To simplify things, yeast need an adequate amount of oxygen to ensure a healthy growth phase before they get to work turning sugars into alcohol and CO2. Homebrewers differ on the methods they use in aerating their worts. Some prefer a simple approach of shaking the fermenter, while others employ more sophisticated gadgetry. But, which one is best? 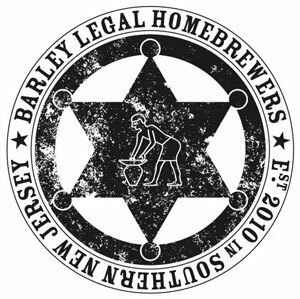 Members of the Barley Legal homebrew club from Maple Shade, New Jersey, took it upon themselves to conduct an experiment comparing several aeration methods against each other. The results of their experiment were recorded for an episode of Basic Brewing Radio, which can be heard here. Spoiler alert! The results of the experiment are discussed below. For a more detailed look at the results and to hear the reactions of the participants as the experiment was being evaluated, listen to the show. .5 oz. (14 g) Northern Brewer for 60 min. 1 oz. (28 g) Fuggles for 30 min. After the boil, the wort was chilled and transferred into eight one-gallon jugs for fermentation. Thirty-two grams of a starter of liquid yeast was added to each fermenter, except for one, which received 2.35 grams of dry yeast. Fermentation took place at 70˚F (21˚C). Airlocks were attached to the fermenters. It should be noted that the container-to-container beer was accidentally double pitched. Day one: Most began activity within 1.5 hours after pitching. The first to show activity was the batch with no aeration. The wine degasser, shaken, container-to-container, aquarium pump, pure O2, double O2, and dry yeast followed in that order. Day two: Even though Fermcap was used, all fermenters blew off. No noticeable flocculation. Trub was suspended halfway up both pure O2 fermenters. Vigorous fermentation from most to least: Double O2, no aeration, pure O2, shake, container-to-container, aquarium pump, degasser, and dry yeast. Day three: Kreusen starting to drop on pure O2. Aquarium pump and shaken batches began to show flocculation. All others looked the same as in day two. End of day three: Aquarium pump appeared finished with fermentation. Shaken, pure O2, and double O2 followed. Day four: Container-to-container is complete. Day five: No aeration, wine degasser, and dry yeast finished. 1. Container-to-container (double-pitched): Thin, roasty, flavors very separate from each other. No major defects. 2. Double O2: A bit sweeter than the first sample. More blended. Overall a better beer. 3. Aquarium pump: Abrupt, a tinge of alcohol, dry – not blended well. 4. Degasser: Very sweet and worty. Underattenuated. Flat. 5. Dry yeast (no aeration): Better than fourth sample, but still very sweet. 6. Pure O2: Very carbonated. Very dry. Highly attenuated. 7. Shaking: Good mouthfeel, roasty aroma, rounded flavor. Balanced. Drinkable. 8. No aeration: A “dump” beer. Flat. Sweet and under carbonated. Offensive. Of the eight samples, the one that received double the recommended amount of oxygen and the one that was simply shaken were the overall favorites. The two were perceived as similar, with the double O2 beer being voted the best. Both were deemed drinkable and enjoyable. As with any scientific experiment, repeatability is the key to proving the results. If the Barley Legal brewers decided to repeat their test, we’d love to hear the results. We’d also like to hear from any other homebrewers who decided to take up the challenge. Whisking wort in the bucket works well. Are you saying that all dry yeasts are the same? 🙂 Which one did they happen to use? Good question. I’ll have to check to be 100% sure, but I believe it was Safale US05, the dry version of the Chicot strain. Excellent post! I was just thinking while shaking my last brew what the differences would be for these similar conditions. Fantastic experiment, I can’t wait to listen to the podcast later today. I have had good results using a medical grade oxygen tank with a fish tank diffusion stone. It seems the double oxygenation did well, was the oxygen diffusion rate and time listed for this method? Maybe the podcast will answer this. High Cloud & Low Cloud & Nice Cl.-huia..~;)o"Tde only real tonic for life's struggles & sorrows is kindness-Kindness received, Kindness given. "Love this quote very much very very true. tQ. How long did they use the wine degasser for? I routinely use one and hit my wort with it for 2 mins at low to mid speed on a cordless drill. I have been making great beer with this method. I used to shake as well but moving to carboys wine degasser was more practical for me. I know Denny uses this method as well. I’ve been in contact with the brewers, and they want to repeat the experiment. No experiment should be judged as concrete proof without repeated replication. I’ve always said that if you’re making beer that you like, you’re doing it right. However, I’m always open to trying new things to see if I can tweak the process in a positive direction. I’m looking forward to round two. In listening to the podcast I had a few thoughts. First of all, it seemed like there were some carbonation issues with several of the samples. It sounds like all of the beers finished at the same gravity, so any sweetness would most likely be attributed to residual priming sugar that hadn’t been fermented yet. I certainly think it’s reasonable that aeration could affect yeast health to the point where it could affect the amount of time it takes for bottles to carbonate. I just can’t help but wonder if given enough time each beer would eventually reach the same carbonation level and use up all the remaining priming sugar. If that is the case, then it would be interesting to see a followup tasting after all samples had fully carbonated. Another takeaway I got from this experiment is that it is important to dial in a recipe to your process. Even though the “normal” O2 batch seemed overattenuated for this recipe in this experiment, if that is your normal procedure then you could just tweak your mash temp or grain bill to adjust the recipe to fit your procedure. Finally, I’d really like to see this experiment repeated using a high-gravity wort. I think that is where you are most likely to see stressed yeast if you aren’t able to provide them enough oxygen. A big thanks to Basic Brewing Radio and Barley Legal for putting this all together. Great experiment! Thanks, Eric. I hope there are following rounds of this experiment to give us further data. I’d love to hear from others if they try it, too. After listening to the podcast again, I wonder if the wine degasser may have been affected by running it inside the carboy. This would limit the surface area available for gas exchange, as well as limit the introduction of “fresh” air to flow against the wort. It might be interesting to compare using a degasser in a bucket vs a degasser in a carboy to see if that would affect the results, as well. J&rcsuo;apprÃ©qie vos commentaires sous forme de rÃ©fÃ©rences, Ray et Alain; j’aime bien qu’un roman ou un article entr’ouvre d’autres portes plutÃ´t que de s’Ã©vaporer une fois qu’on l’a terminÃ©.